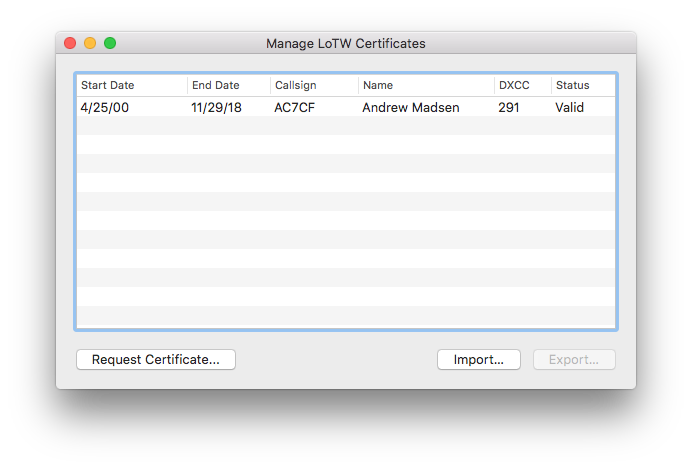 After you request an LoTW certificate, you receive a .tq6 file from the ARRL. This file can only be imported into the same program that was used to request it. This page explains how to work with .p12 files. 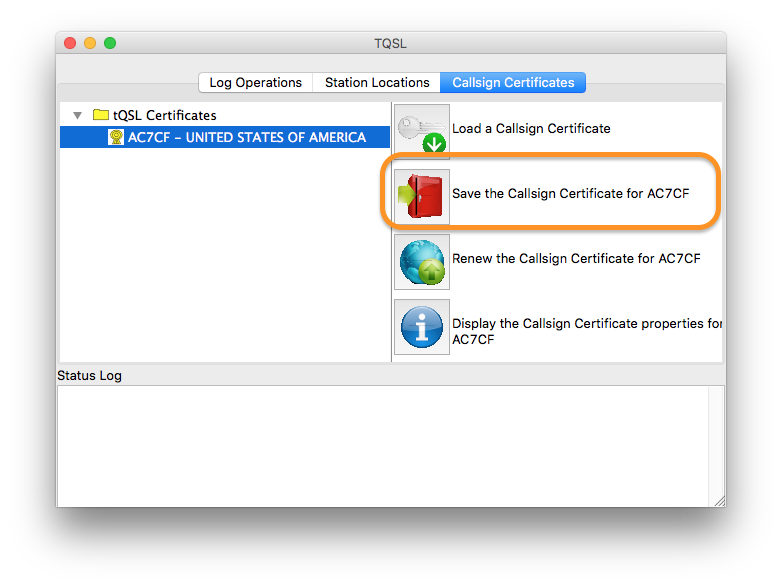 Often, Aether users request a certificate with TQSL, then try to import the .tq6 file they receive into Aether, which doesn't work. The solution is to export a .p12 file from TQSL, then import that into Aether. Note that this process works the reverse way too. It is possible to export a .p12 file from Aether and import it into TQSL (or Aether on another computer), as well. 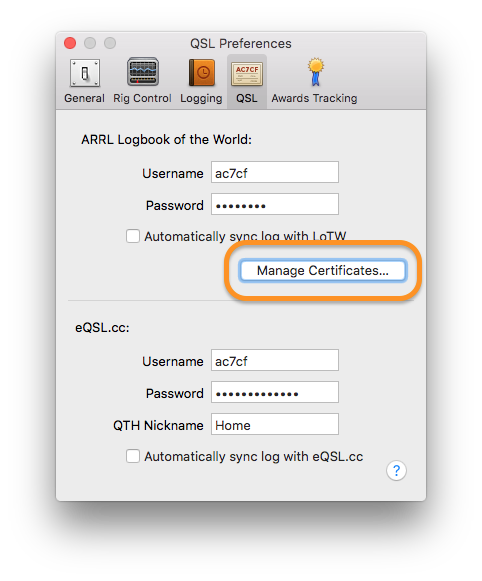 Along the same lines, you cannot use the .tq6 file you receive from the ARRL as a backup of your certificate, since you won't be able to import it into software on a new computer, or after resetting your LoTW settings. 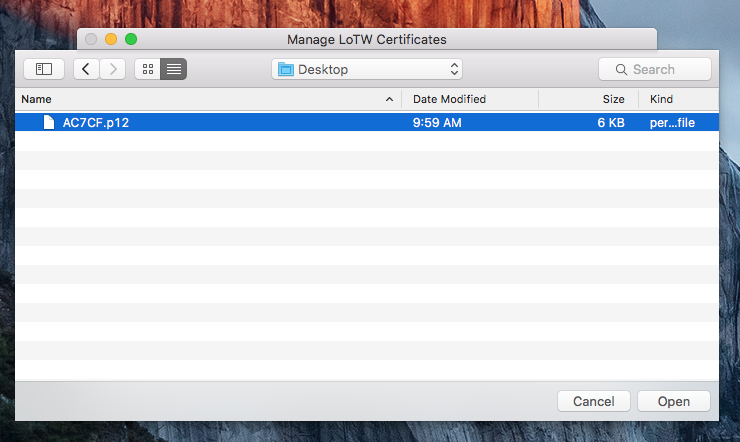 Exporting your certificates as .p12 files, then backing those up is a good solution. Follow the steps below to export a .p12 file from TQSL, which you will then be able to import into Aether. 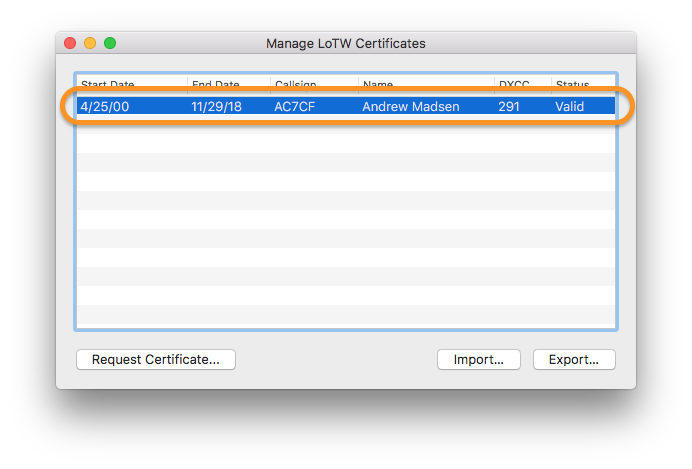 Select the certificate you wish to export on the left. You will be asked to create a new password for the .p12 file. Make sure you don't forget this, as you will need it later. You can also leave this blank, if you don't care to use a password. 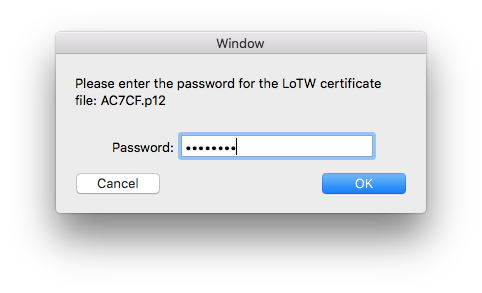 Enter the existing password for the certificate. 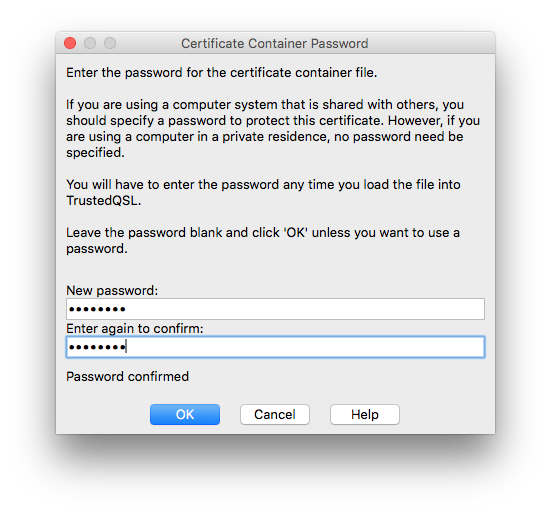 This is the password you used when originally importing the .tq6 certificate file. It may be blank. 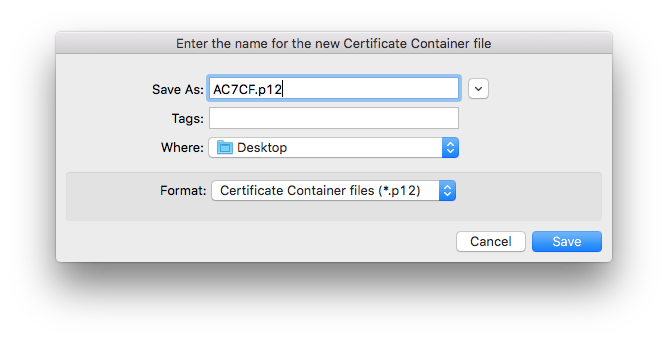 You're now ready to import the .p12 certificate file into Aether. Follow the steps below to export a .p12 file from Aether, which you will then be able to import into TQSL or Aether on another computer. 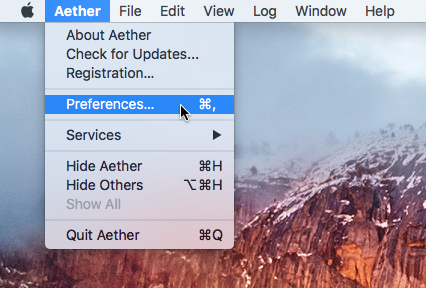 Open Aether preferences by choosing "Preferences..." from the Aether menu, or pressing command-comma. Select the QSL tab of preferences. 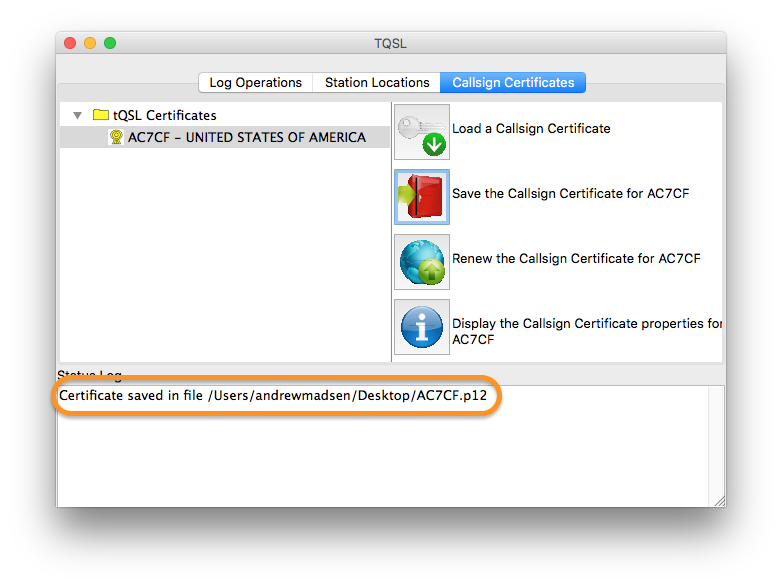 Choose a name and location to save the exported certificate, then click Save. You'll be prompted to enter the password for the certificate. 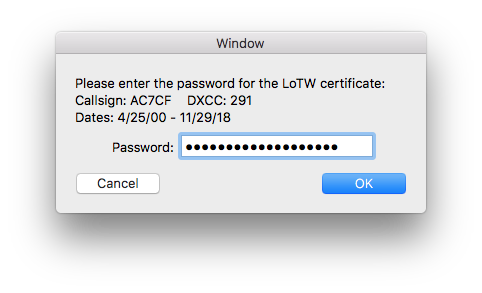 This is the password you used when originally importing the .tq6 certificate file. It may be blank. If everything worked, the .p12 file will be saved in the location you chose. You're now ready to import the .p12 certificate file into another program. Follow the steps below to import a .p12 file into Aether.